In the wake of so much hacking, security concerns are starting to show up in the offerings from a number of providers. As Trustwave claims, "Threats are growing more hostile. Budgets are tight. Skills are at a premium. tw telecom says that the new CIO of the combined Level3/twt will be twt's own Harold Teets. Today, technology is not only changing so fast, but it is becoming pervasive and specialized. We have come a long ways from Novell networking and Windows 95. Today, a Cisco certificate or a Microsoft MCSE doesn't begin to cover all of the subjects that the IT department has to handle. Not just Linux and Apple O/S, but how many versions of Windows do you have to support - XP, Vista, 7, 8, and 8.1. Colocation provider, FiberMedia Group, combined with Bay Area Internet Services under the new name: vXchnge. BAIC was acquired by the Stephens Group, which also owns FiberMedia. 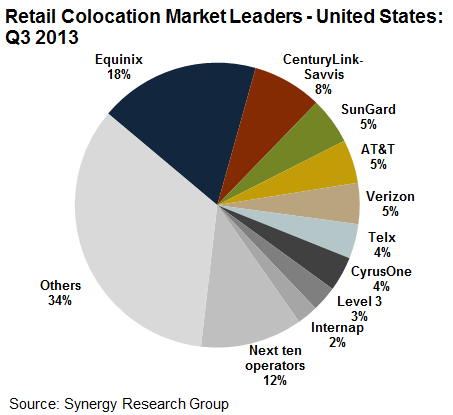 FYI, a nice chart of the top retail colocation companies. Equinix is at about $2B of annual revenue at the top of this space and Savvis is second at approximately $1 Billion. Revenue is up, profit is down. I am in Orlando at the Peabody Hotel (nice hotel) again for ChannelCon, which is CompTIA's annual event (formerly called Breakaway). It's filled with meetings - 9 hours of them tomorrow (ugh!). It is wrapped around a couple of themes (in my view) - get certified and converge IT with Telecom. IT and Telecom have been converging for a few years. "Australian-owned IP PBX systems company, Vixtel, has completed the acquisition of Silicon Valley based glass phone developer, CloudTC, for an undisclosed figure," according to news reports. I really liked this phone when it came out. It was ahead of the curve. CloudTC was a Startup Camp Comms candidate. This is a slide from EarthLink's earnings presentation. Basically, telecom spending is flat and it is roughly 11% of what companies spend on IT services. So if you were looking for growth where would you turn? Oh, yeah, IT services. CenturyLink Biz has an ebook out with predictions for 2013 and beyond. M2M, mobility, cloud - all just mind blowing stuff . It's prediction time obviously. 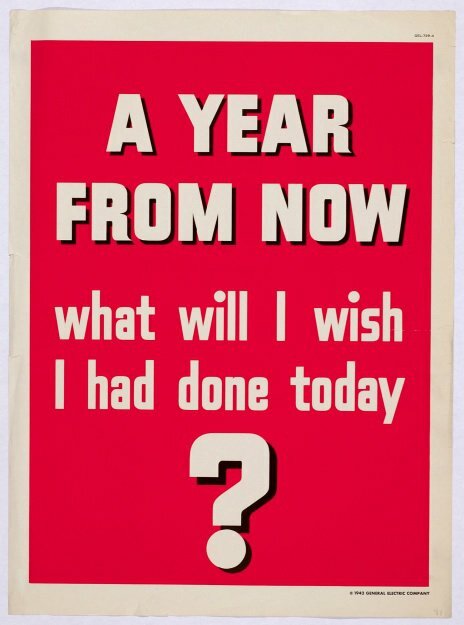 Let me say that 2013 can go a couple of ways - DC gets its collective act together to improve the financial situation or it doesn't. There is a lot of talk about the big money that Agents and VAR's can make if they just switch over to sell Managed Services and Cloud Services. Here are some facts about cloud. M5 had the highest ARPU (average invoice per customer) when ShoreTel bought them - at $2000. Most other cloud communications providers hint at lower ARPU - maybe around $1000 per customer.